Kim Kardashian West's May Vogue cover story brought us several news items: firstly, the reality icon's garage is basically a Yeezy Boost closet, and secondly, she's studying to become a lawyer. Kim has been studying nonstop for the bar, she told Vogue, and is currently apprenticing with attorneys Jessica Jackson and Erin Haney. Both mentors supervise her studies for 18 hours per week, preparing her to take the California bar in 2022. Kim said that while criminal law comes naturally to her, the reading load is intense and that "torts is the most confusing." She'll end up taking a mandatory California pre-bar test in summer 2019, which is intended to signal that a first year law student is on track to sit for the bar exam. Confident that the fashion, TV, beauty — and lest we forget, music — mogul will pass the baby bar and go on to continue her studies for the next three years, we've taken the liberty of picking out a handful of sleek, uniquely KKW outfits for when the lawyer-to-be is ready to battle it out in the courtroom. While she could opt for a traditional pant suit, we know Kim's brand would ultimately suffer. A Ready-to-Wear S/S 2019 wardrobe that rivals even Elle Woods' is the only way to go at this point — anything else would just be libelous. Kim Kardashian West, Esq., the highest profile celebrity lawyer in Hidden Hills, struts into a buzzing courtroom. 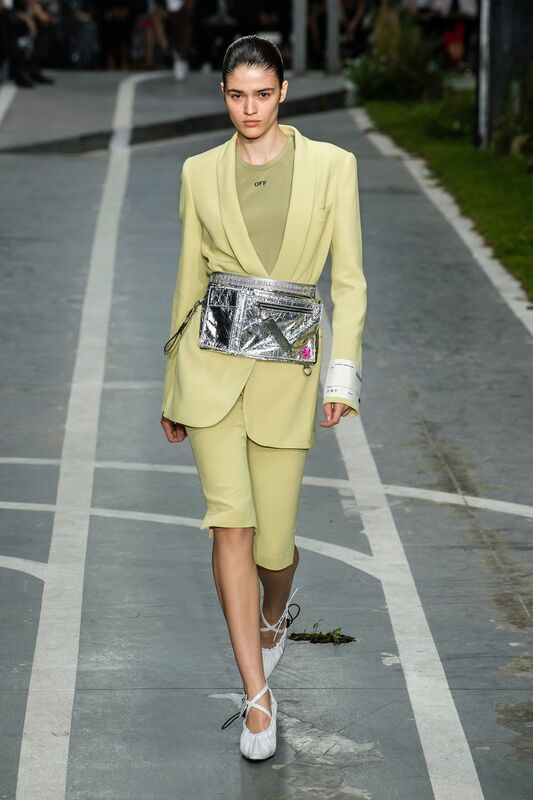 She passes shouting photogs and inquisitive reporters in this pale yellow-green ensemble from Off-White. She's prosecuting to the fullest extent of the law — and she keeps her legal pad in her chic fanny pack. Slay!